What is a good dentist ? What is proper dental care ? This is a question I always keep in mind in order to meet the expectations of my former patients. I believe in ongoing education and improvement because we all can improve, it is not a matter of age but a matter of motivation. So in my opinion, a good dentist should be first and foremost able to listen to patients, listen to their concerns and their questions. I really want to underline the word: Listen. We don’t listen any more, we think we do but in fact we only listen to people partially because we want to be quick, but at the end of the day, we end up wasting time because we did not take the time to carefully listen and understand our patients’ issues. A good dentist should be trustworthy and ethical. I mean I know we all need to earn our living, no doubt about it, but I believe we can also earn money by being honest and ethical. 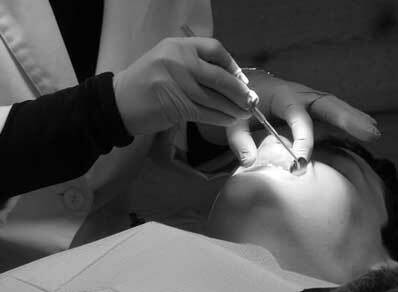 We don’t need to advise several dental procedures if they are not necessary for the patient’s sake. I know some of my fellow dentists forget they treat patients not wallets or bank accounts. A good dentist should also keep his dental knowledge up to date by pursuing continuing education, attending conferences, seminars so to be able to propose the best treatments and the latest techniques provided they are safe and have proven their efficacy. A good dentist should be careful and gentle to make the procedures as painless and comfortable as possible. That is what I like to call the dentist’s gentle touch. A dentist should also be able to put patients at ease, by creating a relaxing and stress-free atmosphere. I also strongly believe in patient involvement, a good dentist should explain all the options and all the steps of the dental treatment and involve the patient as much as possible. If a patient understands what we expect from him or her in terms of oral care, or maintenance following a treatment, then he or she will be even more compliant and stick to the rules for their own sake. We shouldn’t even be talking about it because that should be the only way to be but we all know how far we can be from the reality…. Posted on February 28, 2015 February 28, 2015 Leave a comment on What is a good dentist ? One of the most dreaded dental procedures is the dental implant surgery. Patients are usually already quite scared to visit their dentist, but it is even worse when they are about to get dental implants…. Dental implants are actually a replacement for the root of a missing tooth. They are screwed into the jawbone and will behave almost like a normal living tooth. I agree it can look scary but what I can tell you is that most patients are usually very surprised at the end of the surgery, because they almost felt nothing. I told you implants are screwed into the jawbone; the mere idea of the process might give you goose bumps. But keep in mind that as for any surgical procedure, you will be sufficiently numbed and you won’t feel any pain. Dentists are better and better at making this procedure as comfortable and painless as possible with fewer and fewer side effects: that is what I like to call the benefits of modern dentistry which tends to focus on avoiding any pain during the dental procedures. Why are Implants important to avoid bone loss? Yes, it is just a gap at first sight but the thing is when a tooth and its root is lost, the jawbone area will start to shrink on account of lack of stimulation (chewing stimulates your jawbone, the tooth loss leads to a loss of stimulation) so the other teeth will begin to move and will gradually shift towards the missing space, so they start to be loose and crooked… This bone loss may also affect your bite and your speech in the long run…It all started with a simple tooth loss though…. The dental implant process is quite simple with different steps: it is usually a 3 step procedure but depending on some situation, you could have a 2 step or 1 step procedure. 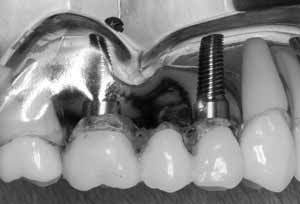 The 3 steps are: the implant placement, the abutment placement and the crown placement…The whole process takes about 6 months. I usually recommend the 3 step procedure to let your tissues, bones heal. This is the safest option in my opinion. Why do you want to speed up the process if it increases the likeliness of issues…? But I agree, you usually want to get them done as quickly as possible for obvious practical reasons, so just be sure to discuss what you want with your dentist and what can be done without taking too much risk. Like many things, you need to take into account many factors that will influence what dental implant costs. The prices will indeed depend on the dentist’s experience, the type of implant and procedure, the number of teeth you need to be replaced. A single tooth implant typically costs $1,000 to $4,000. If additional procedures are required, the price can easily jump to $5,000 to $10,000. Of course, whatever route your choose, remember to consult several dentists to get different quotations. Take your time to compare the offers, the packages, talk to the dentists, the patients if any in the waiting room, weigh the pros and cons, it is worth taking the time to find a skilled dentist for implants that should last a lifetime… It is a bit time consuming but your teeth are worth it. Here are the main characteristics to check when choosing a toothbrush, whether it be manual or powered. Size: you want your toothbrush to be able to reach all surfaces of your precious teeth, so make sure your toothbrush head is small enough to do so, meaning the average size should be half-inch wide and one inch tall. Of course, if your mouth is bigger or smaller, you will choose your toothbrush accordingly so to be able to clean easily the sides and backs of your teeth. It will ensure for example that the bristles of your disposable toothbrushes won’t fall out under regular brushing conditions or that your powered toothbrush has proven to be safe for use inside your mouth…. Remember that if you still are a bit lost; feel free to ask your dentist for recommendation. 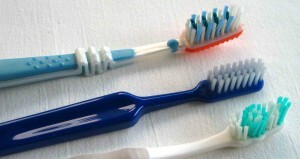 Posted on February 26, 2015 February 28, 2015 Leave a comment on How to choose a toothbrush? We all know the bad effects of poor dental care that range from cavities to gingivitis and tooth loss. Yet, most of us don’t really commit to cleaning our teeth correctly and regularly. And as in most cases, we usually underestimate the risk of dental issues and only pay attention to our teeth once problems occur. Well in a nutshell, simply because your mouth is full of bacteria that needs fuel to create cavities.The carbohydrates in your food and drinks, that are “stuck” between your teeth, provide that energy, so the more food “left” in your mouth, the more risk of holes from these bacteria. Another way to prevent decay is of course to limit sugary foods. So what is the recommended dental care routine? 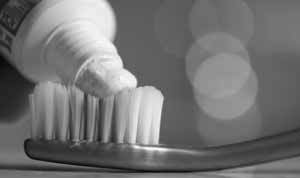 • Use dental floss and mouthwash to remove plaque and food debris hard to reach with your toothbrush. Posted on January 22, 2015 February 22, 2015 Leave a comment on What is proper dental care ? It will probably take me some time to master my blog. This is a blog where I will discuss about mostly dental care, good dental habits and also some other unrelated topics.